Last week TopClassBoxing caught up with one of our featured fighters, The exciting Middleweight Prospect Sonny Lee who although deep in preparation for his second professional contest against Jacob Lucas on Saturday, March 25th in Merthyr Tydfil was able to give us a few moments of his time. > How did you get started in boxing? > Soccer and Rugby are this country most renowned sports but we do have a proud tradition within the sport of boxing so what attracted you most to boxing over the other sports mentioned? > An amateur career which yielded many achievements but what would you say is your fondest memory from that time? I have so many great achievements in boxing from being Welsh, British and CYP champion but my fondest memory has to be going out to Bulgaria with Team GB and competing in the world championships and meeting a lot of future stars where I was able to gain a lot of experience. > What was your amateur record before turning professional? > How would you describe your boxing style? I’m slick, stylish and cocky, I like to relax when I box and I like to make them miss and make them pay on the counter thereafter. > You defeated journeyman Lewis Van Poetsch in your last fight, outpointing him over the four-round distance. Can you take us through the fight and your thoughts on your performance? It was a good fight I totally outclassed Lewis Van Poetsch but in so doing gained great experience from him. The fight wasn’t really busy, I just kept it long on the end of the jab looking for the open shots, I boxed well for the four rounds and the fight fans seemed to enjoy it. > How as training camp been for your upcoming fight and what things have you worked on in the gym for this particular fight? > Who have you been able to get in for Sparring? My sparring partners for this fight has been my brother’s, I got my brother Mano Lee who is extremely talented, very fast and skilful. I also have my brother Sammy and Callum who are both southpaws like my opponent for this fight. My brother Callum is a very awkward southpaw and strong and so too is my brother Sammy, he hits like a machine and he has also qualified for the youth Commonwealth games so I have had great sparring from the team Lee camp. 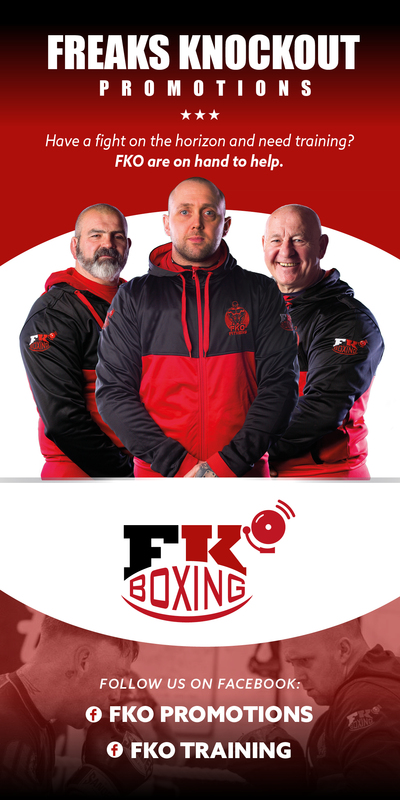 > You are scheduled to face Jacob Lucas in Merthyr on the 25th March, a fighter who has in the past shared a ring with the now retired Anthony Trow – What do you know of him and what are your expectations from the fight? I had my pro debut when Jacob Lucas boxed Anthony Trow and I’ve noticed he likes to keep it long and then breaks out with a burst of punches, he hasn’t the best defence and he tends to hold his chin high so hopefully I can hit him on the button and get him out of there but I never wish harm on any fighter I box. > Wales have some great up and coming fighters, but from the current crop which would you like to face in the future and for what reason? > You are one of this country’s top prospects with many including myself excited by what is sure to be a prosperous future, but what separates you from the rest of the prospects looking to make it Big? Nothing separates me from any other boxer, we all dream the same dreams of being world champions but I have a 2-year-old boy and I’m willing to go to hell and back to give him the best future I possibly can and in the future if I have any other kids it is important to give them and my future wife the best life possible. > In an ideal world, what would you like to happen in your career in the next year or two? You can witness the next step of Sonny’s journey at Rhydycar Leisure Centre, Merthyr Tydfil which will play host to a great night of action put on by Saniger Promotions on March 25th. This will be the first event in a new series showcasing the best boxing and mixed martial arts (MMA) bouts in Wales to be shown by Welsh broadcaster S4C. Y Ffeit will be a six-part series showing highlights from the nation’s biggest professional fight nights every Wednesday night, from March 29. Tickets are available on from the box office on 0117 949 6699 and are priced at £60 & £50 VIP Tables. Ringside £40, unreserved seating £30. Under 16’s £10 accompanied by an adult.